There’s no reason to settle for less than picture perfect. With this LCD HDTV you’ll get amazing picture quality with 1080p resolution and a 150,000:1 dynamic contrast ratio. Plus Auto Motion Plus 240Hz delivers action scenes that are more realistic than ever before. And Medi@2.0 gives you more than TV programming and movies. Now you can access content from Yahoo! and Flickr. 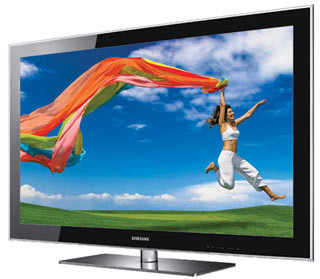 Turn your high-definition dreams into reality with the LN52B750 HDTV. The ln52b750 features an amazing 150,000 contrast ratio, 4 HDMI inputs and a Built-in ATSC tuner. Most products are shipped 3-5 day Fedex within 24 hours. Monday to Friday we will do our best to ship same day as ordered. Next Day Air is available at an additional charge. Heavy items such as subwoofers are shipped by UPS Ground.